Concentrating on a little Nordic breweries theme just now, I picked this one up in my now famous corner shop. I have seen their beer for sale in various bottle shops but have never found the urge to buy and try one. 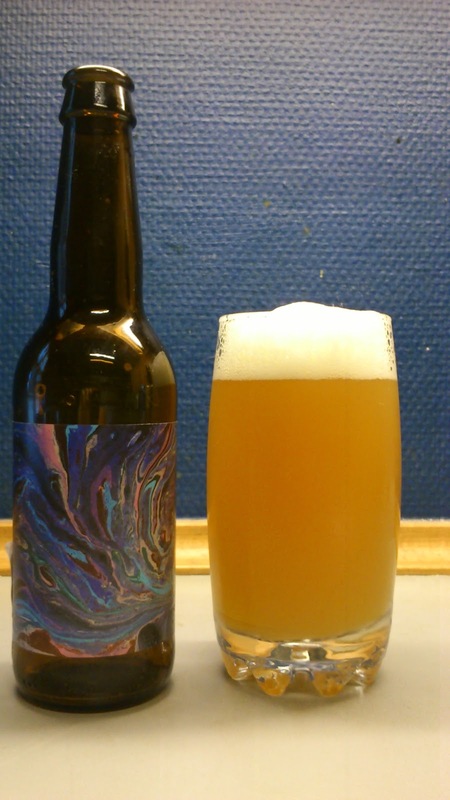 The first Swedish beer to appear on this blog, quite incredible as I am a frequent visitor to Malmø/Helsingborg area and the state run off-licenses Systembolaget, which have an incredible amount of good craft beer to choose from. Contrary to belief, prices are not that bad and quite similar to the bottle shops in Copenhagen give or take a few kroner here or there. Funky aroma coming from this on the pour which at first I was going to say cat piss ! but it is more tangerine/clementine peel, peach, wet hops and yeast. Nathalius pours a cloudy golden orange with a creamy white head that has good retention. Greasy and oily intake with grapefruit, citrus peel and floral hops while the finish is moderately dry and bitter. Long and quite unpleasant citrus oil aftertaste with a grapefruit bitterness left lingering. Extremely oily mouthfeel which leaves a coating on the mouth akin to the greasiness left in the mouth after eating an xl 'meal' deal at burger king etc. No alcohol shines though. Not a bad tasting ale and I do like the bitterness but the mouthfeel completely ruined it for me and I struggled to finish the bottle. Not one I would buy or drink again although I do want to try others from their range as I have heard very good things. Summing up, if I want something like this without alcohol I would buy a bottle of rapeseed oil and infuse some citrus peel for a few days. The resulting taste and mouthfeel would be the same. This scored a generous 3.5/10 on the 'a whole range of good beer yet I chose the duffer' Beerometer. Mikkeller - U Alright ?